But this scene is not taking place in a Chinese school but at Lakewood Premier school, thousands of kilometers away in Nairobi. Here, schoolchildren are learning Mandarin, a language spoken by nearly 1 billion people almost 8,000 kilometers away from their home. Sandra Wanjiru, 13, is one of hundreds of African schoolchildren who are increasingly proficient in the Chinese language. 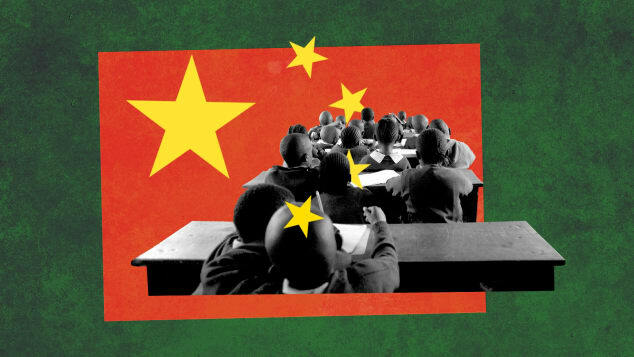 More will join their ranks in 2020 when Mandarin will be officially taught in all Kenyan schools alongside French, Arabic and German, which are already on the curriculum. Confucius launched its first outpost in Africa at the University of Nairobi in 2005 and has since expanded to 48 centers across the continent. They are run by Hanban (the Office of Chinese Language Council International) and are part-funded by the Chinese government and the universities that host them. The University of North Florida joined a growing list of American schools to end its partnership with the Confucius Institute, saying the center's activities did not align with the school's goals. The decision was welcomed by US Senator Marco Rubio who has been an outspoken opponent of the institutes. In Kenya, the introduction of Mandarin hasn't been welcomed by all. Wycliffe Omucheyi, chair of the Kenya National Union of Teachers (KNUT), said he believes the government is rushing into the program. Rather than Mandarin, students should be taught indigenous African languages, he said.